The RYA / MCA Yachtmaster Coastal Exam is the next step for anyone who has completed the RYA Coastal Skipper course and now wants to either skipper longer passages or progress a career in sailing. This course is all about preparing you. At the end of the week, you will feel more confident in your own ability and able to take the exam if you feel ready. 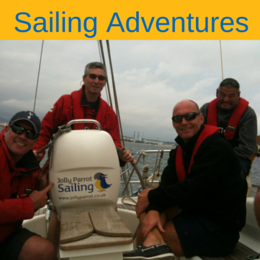 You’ll be onboard with one of our experienced RYA Yachtmaster instructors. Their first job will be to assess your strengths and weaknesses. As the week progresses, they will help you tackle any particular areas of weakness, highlight your strengths and increase your confidence when making decisions. You will take charge of the yacht on a series of short passages by day and night. You’ll be expected to lead your crew, navigate confidently and handle your boat efficiently and safely under power and sail, out at sea and in a confined space. You will also have the opportunity to learn how to set the yacht for downwind sailing with a poled out headsail or, weather permitting, a spinnaker. We’ll give you the chance to tackle a range of challenging scenarios, practice weather forecasting, application of collision regulations, pilotage and passage planning. We’ll provide you with robust feedback throughout and emphasize exactly what else will be expected during the exam. As this qualification is considered to be the pinnacle of RYA training, we make every attempt to ensure the correct skill mix on board the yacht. We will never schedule a Yachtmaster Preparation week with RYA Day Skippers on board in order to ensure maximum attention is given to the candidates. It is our policy that we will never have more than 3 students on board in order to allow a thorough examination to take place and for you to gain a qualification to be proud of. RYA Coastal Skipper or equivalent. You should also have a minimum of 800 logged miles within the last 10 years including 30 days onboard, 2 as Skipper and 12 night hours. If in doubt as to whether you are ready for this please just contact us for some advice. The RYA Yachtmaster coastal will prove to other skippers anc charter companies that you are a safe and credible sailor. Your next step is to hone your sailing skills while you gain miles through one of our mile building adventures or sailing on your own. 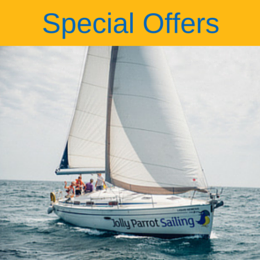 Ultimately you will be ready for one of our yachtmaster Preparation courses!